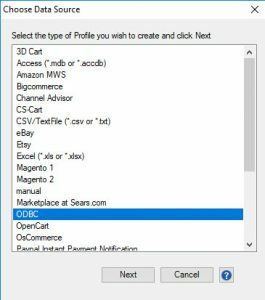 The following setup procedure is for the integration between Stamps.com PC Software and Acctivate Inventory Management Software. Before you begin you must Download and Install Stamps.com PC Software. If you have not purchased the Acctivate Shipping Workstation Integration please contact your sales person. The setup typically can be completed in less than one hour. Configuring Stamps.com to Import data from Acctivate. Next, you must be logged into your shipping workstation, launch the Stamps.com software. Acctivate and Stamps.com software can be integrated for use with USPS (United States Postal Service). A Stamps.com customer account is required and the Stamps.com PC Software must be installed on the Shipping Workstation computer. Once you have a Stamps.com customer account you must also Download and Install Stamps.com PC Software. Next configure a 32bit ODBC connection. This connection will allow communication between Acctivate and your shipping software. If you Can’t Find Created ODBC Connection you may have created a 64bit connection instead of the required 32bit ODBC connection. 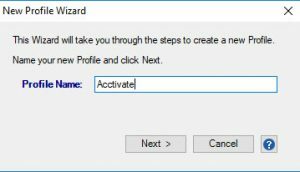 In the New Profile Wizard window enter a Profile name and click Next. 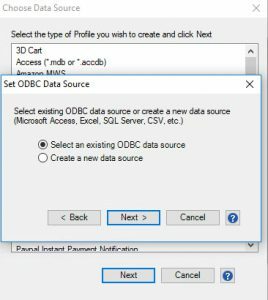 Choose Select existing ODBC data source and click Next. 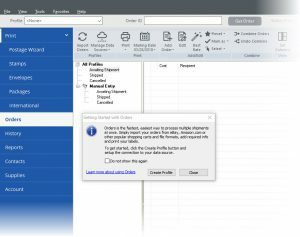 Select the Acctivate ODBC connection in the drop down menu. Enter your Username and Password, then click Next. 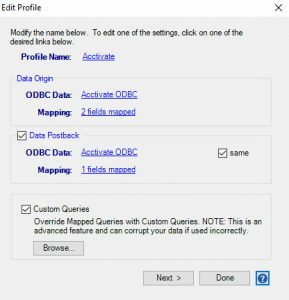 Locate the ODBC Data Base to be linked and Click Next. Click Test Connection to ensure that the ODBC connection is set up correctly. When you have a successful test, click Next. 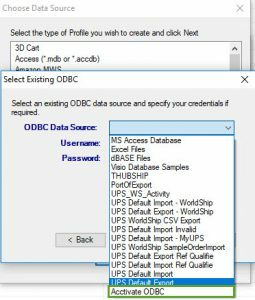 On the Import Field Mapping window, select Data Source OrdersAvailableToShip. On the Orders tab, map Order Id to OrderNumber and Order Date to OrderDate. Save and go to the next window. Next, on the Postback Field Mapping, select Database Table tbOrderPackagesText. Map Order Id to OrderNumber. Once mapped, click Save. Save the new Acctivate Profile. Click the Browse button and unzip the following files into the Stamps.com folder. Using the Custom Queries location, copy and paste the files into the folder.